If you would like to join us for a farm visit to meet and greet our beautiful Alpaca, Llama and sheep, please check out our Activities page to give you more info. Then use this link to securely book your tour. If you use trip advisor please do place feedback for us. These reviews are very important to our new business. Click the link to do this. The Paca Shack is owned and operated by Jill and Trevor Allan. We are alpaca breeders of 14 years running Gem Alpaca Stud right here in Fairlie. We proudly sell a huge range of NZ made yarn at very competitive prices. We keep our prices down so everyone can afford to knit with this stunning fibre. All of our fleeces are individually hand processed from our own alpaca and we now also have to purchase from other NZ breeders as we run out of fleece every year. We do not dye any of our naturally coloured fleeces. We have 15 ladies knitting for us and now 4 spinners constantly working away. If you see something you like in the handmade products but it's not the colour you want. 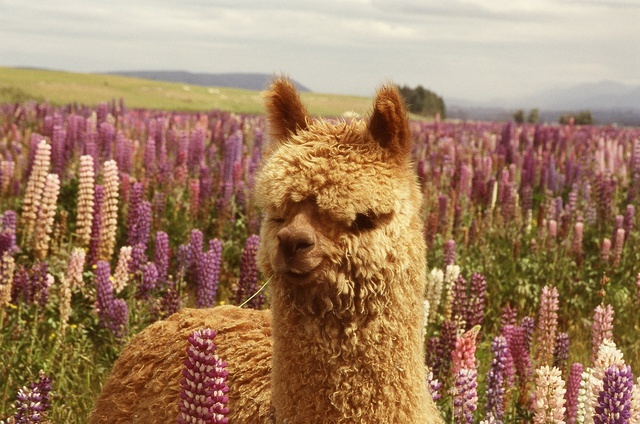 Just check out our alpaca yarns and choose the colour you would like us to make your garment in. Farm visits are welcome, please look in the farm visits page for more info on these. We invite everyone to call in and see the wonderful range of alpaca products available from our shop.